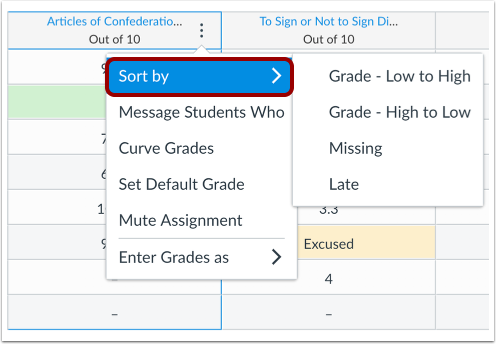 Each individual assignment column includes options to sort by grade and assignment status. When sorting by status, each grade only displays one status. Sorting may affect any assignments that have been dropped according to a drop rule in the assignments page. 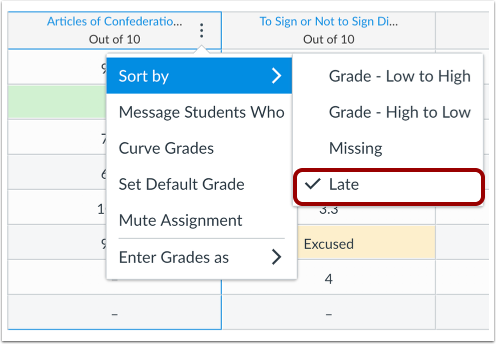 The dominant status is always shown, so if an assignment is missing or late but is also a dropped grade, the dropped grade status will be shown. 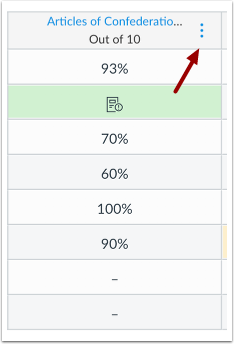 However, you can view the Grade Detail Tray to view additional details about the grade. Note: Sorting is not available for anonymous assignments. Click the Sort by link, then select the option how you want to sort the column. 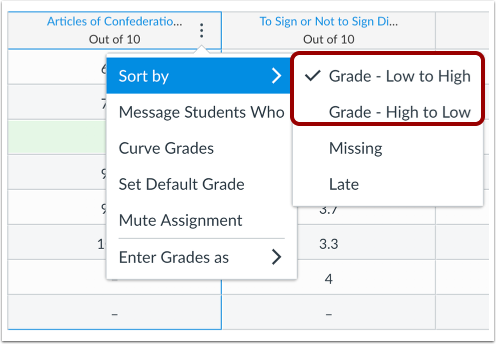 To sort by grade, select the Grade - Low to High or Grade - High to Low option. To sort by missing status, select the Missing option. To sort by late status, select the Late option. 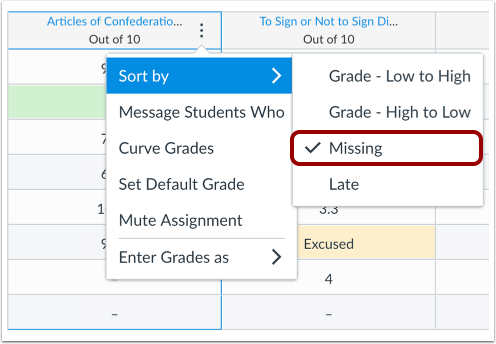 Previous Topic:How do I use the icons and colors in the New Gradebook? 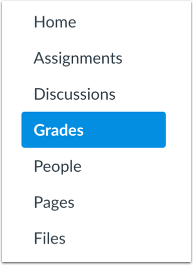 Next Topic:How do I change the color for a grading status in the New Gradebook? Table of Contents > New Gradebook > How do I sort an individual assignment column in the New Gradebook?